Based in Leicester for over 125 years, Barlow supply awnings throughout Leicestershire and the East Midlands. Our range and knowledge are second to none and our bespoke awnings are manufactured by German craftsmen and are installed by our highly experienced team of fitters. 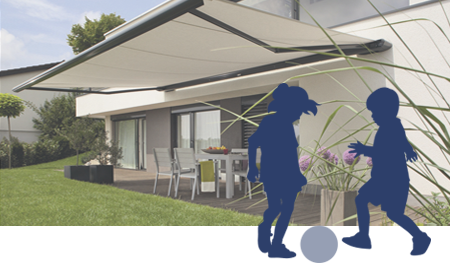 A bespoke awning for the home offers an outdoor living space and extends the time families can spend outdoors, protecting you from the sun and the elements should the weather become inclement. A commercial awning can transform a premises and is one of the most cost effective solutions to increasing a company's visual presence. 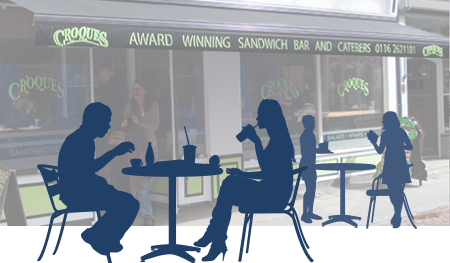 Awnings can be colour coded and sign written offering weatherproof areas for cafés or restaurants and sun protection for retailers. We installed two 4 metre wide manually operated awnings. The same size and specification as the existing.